On June 13, it was announced at a press event that Yukirin will appear in NHK’s current Taiga Drama “Segodon”. 10 new cast members were revealed at the event for the second half season. The drama is about the historic Samurai, Saigo Takamori, who was from Kagoshima. Yukirin will play Saigo Sono, the wife of Saigo Kichijiro, the younger brother of Takamori. Sono was known as a very supportive wife who found joy in everyday life even though life was tough in the poor Saigo clan. When the Chief Producer was asked why Yukirin for the role, he answered that her aura and overall feel really fits the character and it’s perfect that she’s from Kagoshima. Yukirin mentioned she was super nervous for the filming. Yukirin started filming in early May and will first appear in the episode airing on August 5th. A bit of history lesson…. Saigo Kichijiro had two children, one son and one daughter, with a previous wife. Sono married into the Saigo family at the age of 25. Sadly, the two were only married for less than 2 years when Kichijiro died in one of the battles. Sono stayed in the Saigo family to help take care of his two children. When the Bunshun article came out last week, I was super excited. 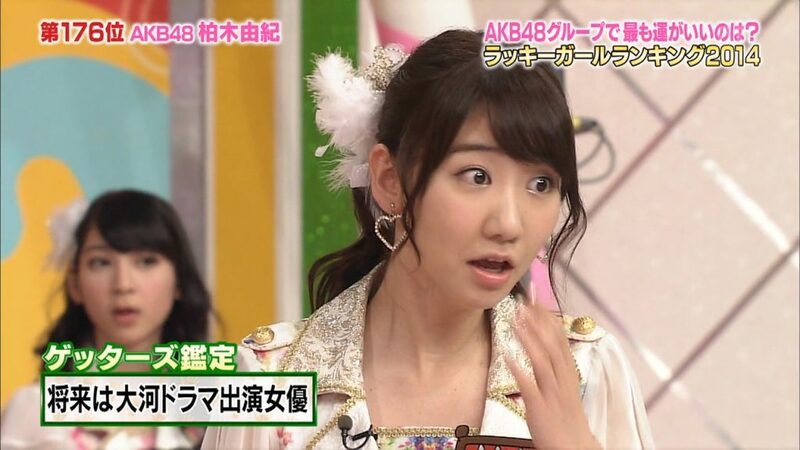 While at that time, the news is not considered confirmed, I knew that Yukirin appearing in the taiga drama is true. (There is always a bit of truth in any bunshun article). I think it’s really amazing that Yukirin gets to be part of a taiga drama. She would be the second AKB member to appear in a NHK Taiga drama as Acchan appeared in Ryomaden in 2010.